British holidaymakers are still able to travel to Egypt from the UK despite several European tour operators cancelling all trips to the country, which is currently beset by violence civil unrest. The Foreign and Commonwealth Office is advising against all travel to North Sinai and all but essential travel to Egypt but the warning excludes the Red Sea resorts in South Sinai and the Egyptian mainland. Following this advice, firms such as Thomas Cook, Tui Travel and Kuoni are continuing to run holidays to destinations which remain unaffected by the bloodshed such as the Red Sea resort Sharm el Sheikh. The Foreign Office had previously published advice saying holidaymakers staying in Hurghada should stay inside the grounds of their hotels but this recommendation has since been removed. Any holidaymakers planning a trip to Egypt should still remain extra vigilant, however, and are strongly advised to check the terms and conditions of all documents related to their trip including their travel insurance to ensure they are fully covered in the event of illness, injury or mishaps. Kuoni has changed its terms and conditions for bookings travelling to the country within the next 21 days. Travel advice differs in other countries, however, such as Germany where it has been reported that the sister companies of Thomas Cook and Tui have cancelled all trips to Egypt. A spokesperson for Tui Travel said: "The safety of our customers is always our number one priority and we continue to work with the FCO and closely monitor the situation in Egypt. The majority of our customers are in Sharm el Sheikh which is a considerable distance - indeed, an eight-hour drive - from Cairo." A Thomas Cook spokesperson said: "Further to the advice of the Foreign & Commonwealth Office, Thomas Cook continues to operate its flying and holiday programme to Red Sea destinations, and normal booking conditions apply. 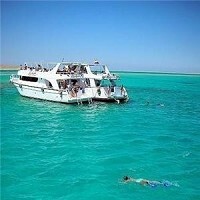 "The Red Sea tourist area including Sharm el Sheikh and Hurghada remain unaffected and are operating as normal."